Crazybaby is a quirky audio company from China known for its unusual designs. The latest product in its lineup is the Air 1S wireless earphones. 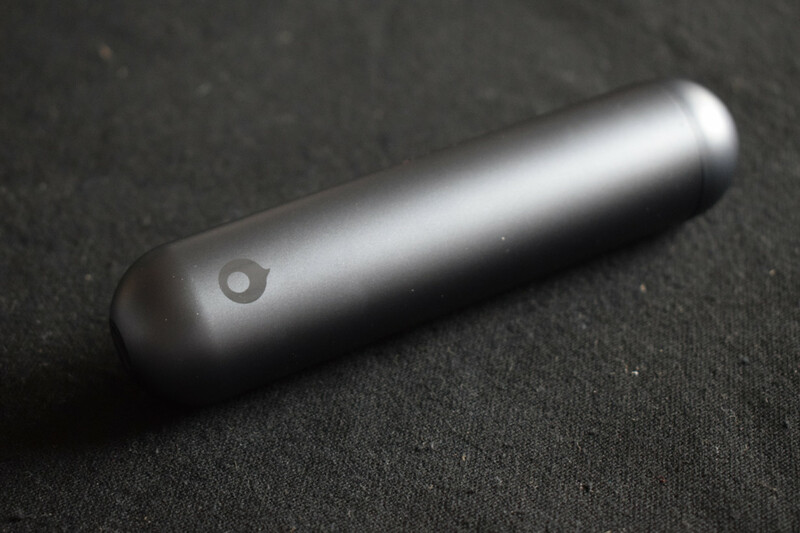 With no shortage of generic-looking Airpod alternatives on the market right now, the Air 1S has to distinguish itself. It does this with a quirky design and a focus on comfort. But is that enough? The Crazybaby Air 1S has a fairly unique design. That’s hardly a surprise; one of the first products launched by Crazybaby was a Bluetooth speaker with a levitating UFO that popped up while in use. The earpods themselves are fairly conventional in appearance, and actually, I’m rather fond of them. They’re super thin and light (weighing just 4.5 grams apiece), making them supremely comfortable to wear. While all ear shapes are different, the Crazybaby Air 1S held a really snug fit, and so far I haven’t been concerned about them falling out. On the side of each bud are buttons that control playback. These aren’t especially responsive, and it’s a little sad that you have to press these to turn the buds on, rather than the Anker Soundcore Liberty Lites, where it happens automatically. So, let’s talk about the charging case. It’s… weird. 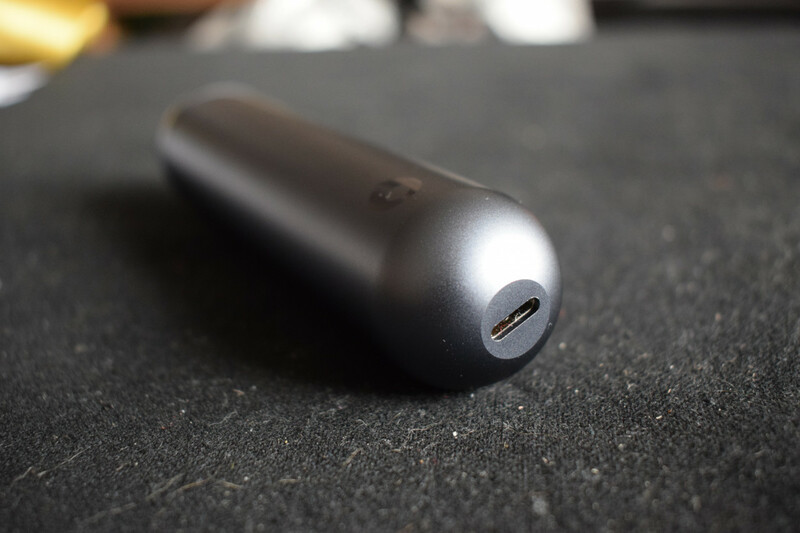 Unlike the relatively low profile of the Soundcore Liberty Lite and Apple Airpods, the Crazybaby Air 1S’s charging case is a futuristic space-age tube that looks like an aluminium zucchini, or… something else. I’ll let you use your imagination. TNW is a family publication, after all. The charging case is long, and it sticks out like a sore thumb. There’s no chance of you shoving it in your back pocket and forgetting about it. It’s just way too big. And, on a side note, it looks massively suspicious when going through airport security, as I recently discovered when flying from Barcelona back to the UK. These quirky little buds earned me a bag swab. Its saving grace is that it uses USB-C, meaning I don’t have to dust off an old-school microUSB charger. That said, given its size, I’d have expected some extra bells and whistles, like, for example, a battery monitor. In my experience, the Crazybaby Air 1S has a pretty neutral listening profile, which comes at the expense of bass, which feels flat and underwhelming. I realize that this directly contradicts the findings of other reviewers, like those from The Verge and Mashable. While so much of headphone reviewing is subjective, this could be indicative of inconsistencies in the manufacturing process. One of the songs we used to evaluate the Crazybaby Air 1S is “Your Best American Girl,” from New York-based singer-songwriter Mitski, which starts with the stripped-back pairing of vocals and guitar, before culminating in a crunchy, gain-driven chorus. Depressingly, the chorus felt flat, with none of the punchiness of the bass coming through, nor the crunchiness of the guitar distortion. Another song we used to evaluate the performance of Crazybaby Air 1S was “We Will Rise Again,” from the Far Cry 5 soundtrack. This track was written by Beasts Of No Nation composer Dan Romer, and features truly gorgeous vocals from Meredith Godreau (best known as Gregory and the Hawk). Bear with me. I know that it’s a bit left-field using a video game song in a headphone review, but there’s method in the madness. Listen to the track. It’s genuinely good. Godreau’s voice is undeniably beautiful, and the tune blends acoustic guitar with soaring violins. Sadly, it feels a little bit wasted on the Crazybaby Air 1S. Quality is a bit muddy, and this lack of clarity makes it tricky to distinguish the string section of the song. 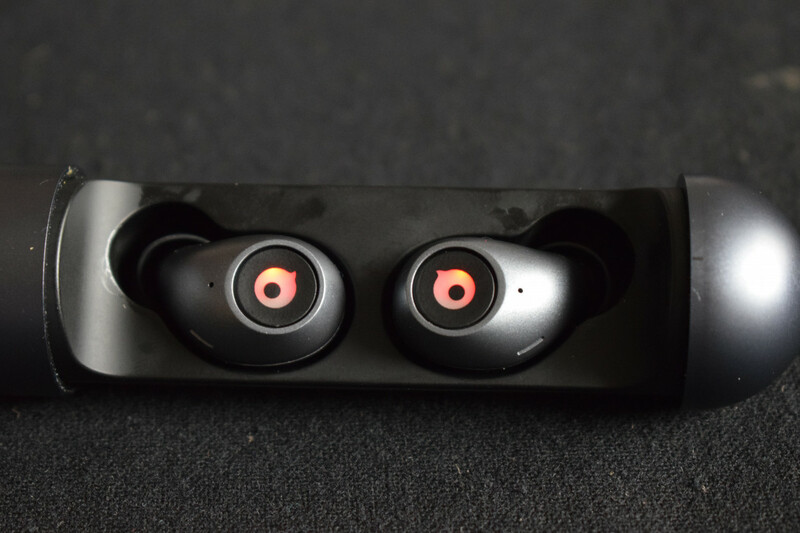 I’m cognizant of the fact that for truly wireless earphones, their raison d’etre is convenience, with sound quality and battery life taking somewhat of a backseat. My expectations were in check, and I wasn’t counting on the same levels of performance as I’d get with a pair of studio cans. That said, I was extremely disappointed with how the Crazybaby Air 1S reproduced my favorite tracks. There are a couple of silver linings though. The first is call quality, which the Air 1S performs well at. The microphone was able to distinguish my voice, despite being near a busy arterial road. I was also impressed with the sound isolation of the Air 1S. Because they fit so snugly (and comfortably), the amount of noise that leaks in is limited. Across the board, battery life is an achilles heel for totally wireless earbuds. They’re smaller, so there’s less room for battery capacity, forcing users to recharge them every few hours. The Crazybaby Air 1S is no exception. Its charging case offers an extra 12 hours of juice, which is decent. That said, matters are complicated by the charging case, which lacks a magnetic connection, forcing you to ensure each bud is properly aligned with the two charging prongs. It sounds simple, but this is easier said than done. More than once, I’ve accidentally charged only one bud. Sods law in play, this typically happens right before a long flight or train journey. Another complaint relates to the device’s software, which, in my experience, is pretty buggy. For example, it’d regularly fail to properly report battery levels. One minute, I’d be on the fumes of my battery, and the next it’d say that my buds are fully charged. The Crazybaby Air 1S looks undeniably cool. It’s also got solid call quality, and it’s really comfortable to wear. Those are the high notes of what amounts to be an otherwise underwhelming bit of kit. While I couldn’t commend it solely based on its listening quality, I could see this being used by athletes and sports fanatics, thanks to its excellent ergonomics. The fact that it’s IPX6 rated helps in this regard, too. That said, it’s a bit meh. It just didn’t impress me all that much. I don’t know why someone would choose this over the similarly priced Apple Airpods, or even the vastly cheaper Anker Soundcore Liberty Lite. The Crazybaby Air 1S is available on the company’s official website, where it retails for $159.00.